You fell in love in a hopeless place. We're back with your favorite weekly roundup of Craigslist missed connections on and around the L train. Like a finicky subway turnstile that won't read a new monthly pass, an unknown force stopped the posters below. The mind cried, "Take me! Take me!" in frustration; but the body was powerless. This man got the schoolboy giddies when he saw a lady with a tripod. "I can't believe I'm doing this...you - all black with a tripod. We were locking eyes like school kids from Bedford to Morgan on the L where you got off this Thursday, 3/15. If you happen to read this (which I know you won't) please reach out. I wish I'd have said something." This woman never thought she'd grow up to be a Craigslist poster. "I never thought I'd be the type of person to post one of these, but you've been on my mind and so I figured I give it a shot. I saw you this morning at 14th St. Union Square. 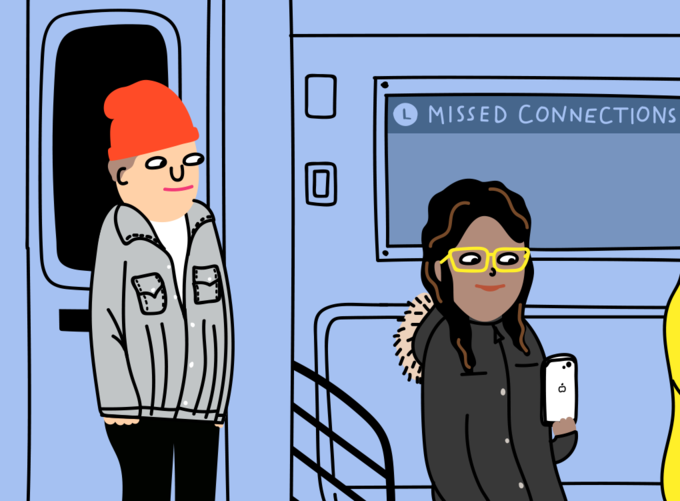 It seems like we both got off the L train." "Anyways, your eyes somehow found mine in the midst of a restless crowd. We were in the same line to go up the flight of stairs, but you were a couple feet ahead of me lol. You locked eyes with me as you were about to turn - as if you had been waiting for me to look at you, and I felt a magnetic attraction to you." "I felt your eyes still on me as people got in the way and blocked us. We then found each other again, you were basically right next to me (but you were going up), as I walked on the edge of the stairs. I smirked at you, I think you did too - but our time was cut short because we're in NYC after all." This man nearly croaked after he accidentally sat down next to his social media hero. 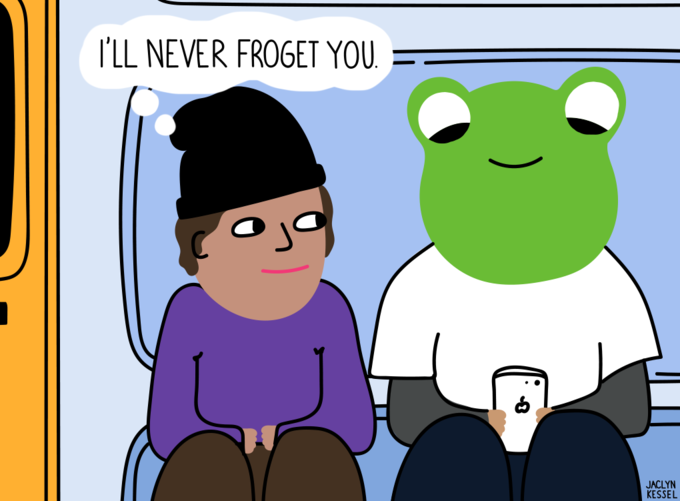 "Your Instagram handle contains the word 'frog.' I had been following you on Instagram for a bit but hadn't seen you in person." "You sat down next to me on the L train to Brooklyn. Our legs touched ever so slightly. Both of us got on the train at 6 Ave. (around 6 p.m.) and I got off at Bedford. I was wearing a black hat. You look just as good in person as you do on Instagram. I wanted to say something but you seemed busy on your phone. Let me know if you see this and are interested." This poster not only fell in love with your groovy glasses, but with commas, too. "We were on a Brooklyn-bound L train around 7:30 p.m., and I was standing tall near the sliding doors. You were sitting and wearing these funky, rectangular sunglasses, a black jacket with a fuzzy hood, light brown/beige suede shoes, and you had black hair with highlights." "I was wearing black cargo pants, white shoes, a sweater underneath a grey jean jacket, and I had an orange/red knit hat with headphones on listening to Cocteau Twins, and I was carrying a grey colored bag. I can't stop thinking about you... Describe your backpack and I'll know its you." 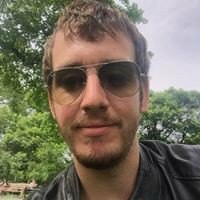 This guy decided it would be uncouth to chat up the bartender in person, so he wrote a missed connection post three months later inviting her on a psychedelic voyage. "It was Thursday, December 28th. I had just purchased a new Iphone and came in to get out of the freezing cold. Couldn't feel my hands and the iPhone just sat on the bar. We chatted and I said this was the first time I purchased the new iPhone. I was with a woman - believe it or not, she's my roommate." "I bartended for years in NYC and because of this, I often can't bring myself to hit on the bartender. It's out of respect. I think anyone that's bartended understands that. And I've never even thought of hitting on a woman when I'm in public with my roommate. How are you not going to seem like a ramen noodle?" "Anyways, yes, you were very attractive, but your vibe and personality were killer. I really just wanted to keep talking to you. Why would you be looking on here for this? Eh, why not? If you see this, I hope you take the time to respond. It's Sunday, and you seemed like the #1 bartender, so I'm thinking you're off tonight if you want to grab a drink or maybe even make your [psychedelic] shirt a reality as opposed to a logo. Some sort of indication you know/remember who I am would be greatly appreciated." That's all for this week of missed connections, Bushwick. If you have an incredible memory for strangers and think one of these posts is about you, leave us a comment — we want to pair you up with your missed connection!